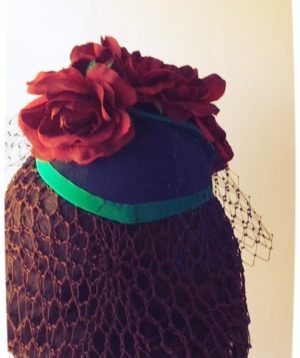 Gorgeous simple teal and navy half caplet late 40’s/50’s style. 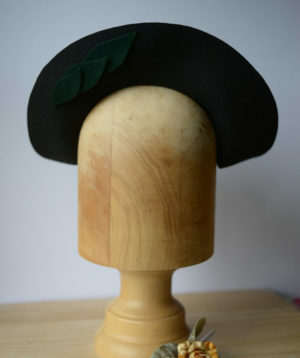 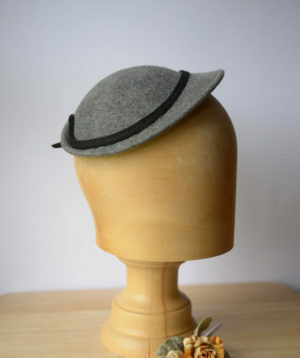 This little hat sits down either side of the head depending on your hair style and preference. 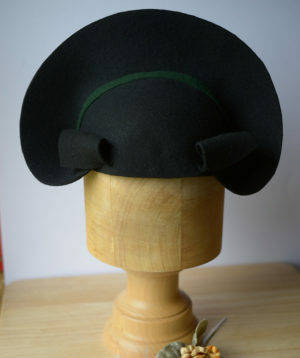 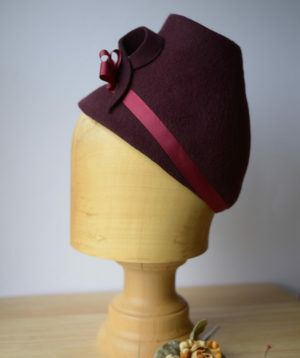 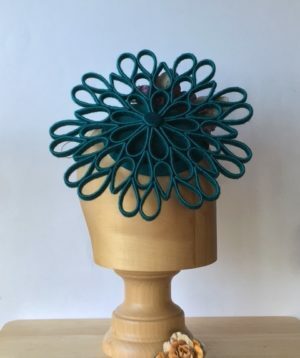 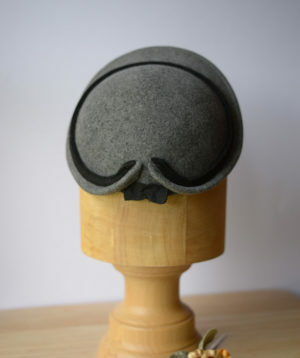 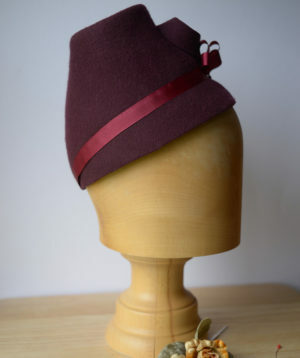 Stiffened with millinery buckram and finished with a soft wire rim allowing for preferred shape to sit on head. 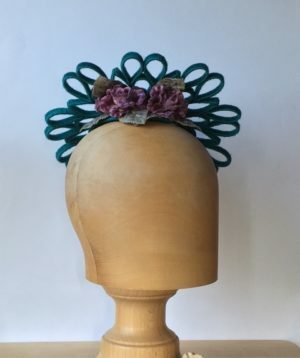 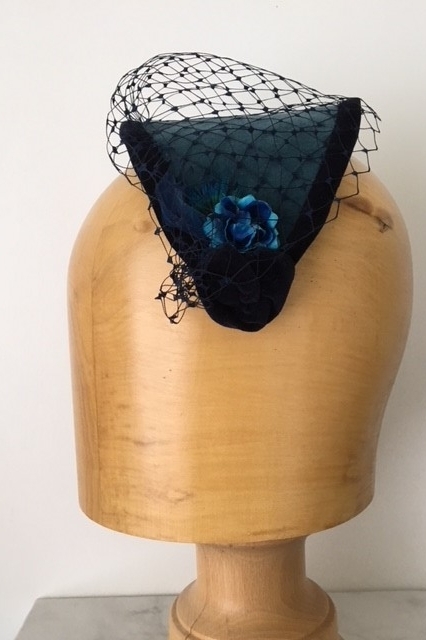 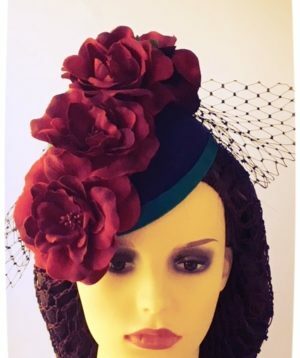 The hat is finished with navy blue velvet rosette and blue flower either side, with blue velvet trim and soft blue veiling.